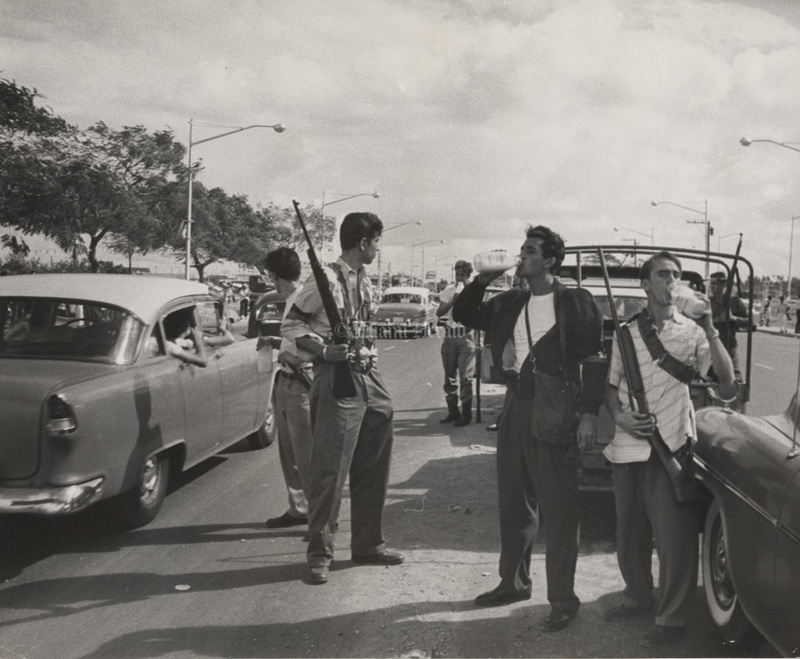 On July 26, 1953, Fidel Castro led an attack on the Moncada military garrison. The attack failed, but it was the beginning of Castro’s long march to power. At the trial following the attack, Castro is reported to have closed his defense with the words: “Condemn me, it does not matter to me. History will absolve me.” In the early morning hours of January 1st, 1959, President Fulgencio Batista and his closest followers fled Cuba by plane. 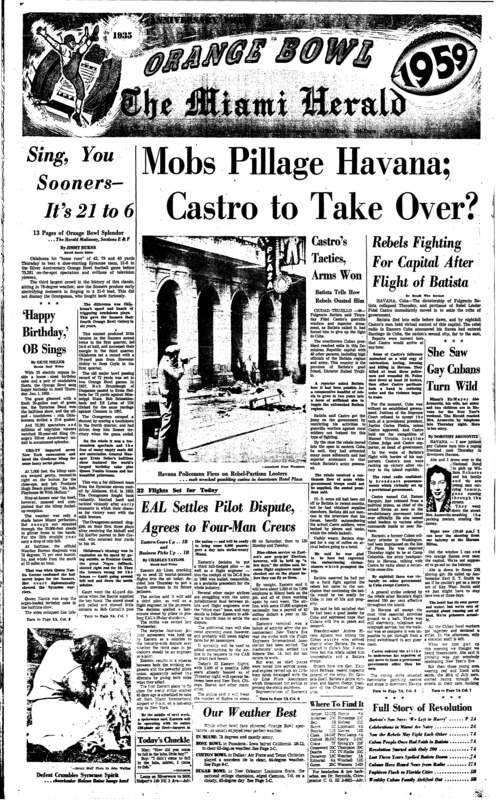 Slowly, triumphantly, Castro led a motorized parade across the island, reaching Havana on Jan. 8, a week after Batista fled. 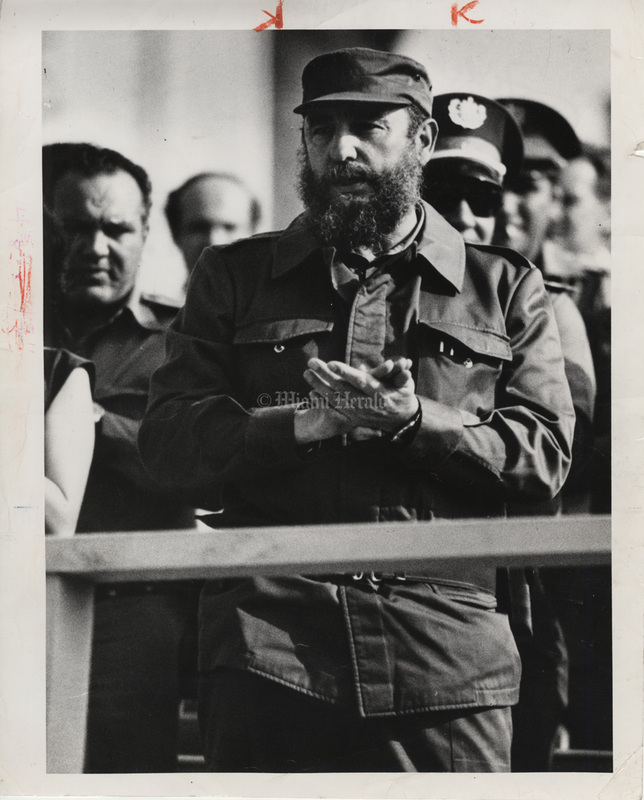 Tens of thousands lined the streets, waving flags and applauding this bearded young man who was promising to lead them into a new era of democracy and freedom. That night, at Camp Columbia, Castro gave a powerful speech. 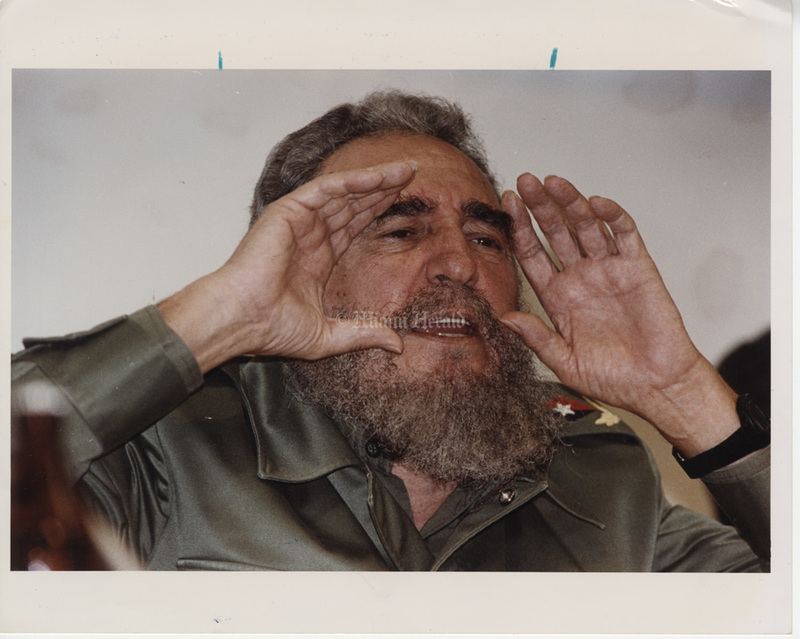 The people had nothing to worry about, he promised: “We cannot ever become dictators.” Castro became one of the most divisive and authoritarian leaders of the 20th century. 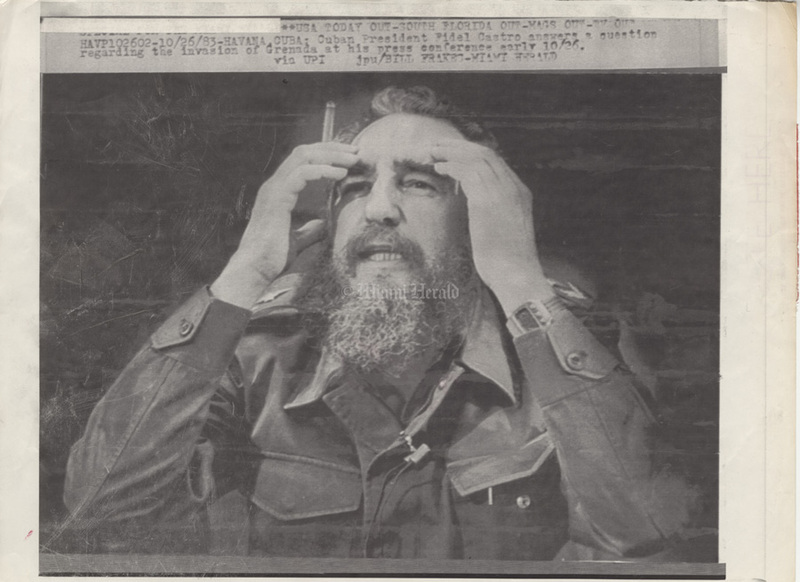 He died on November 26, 2016. 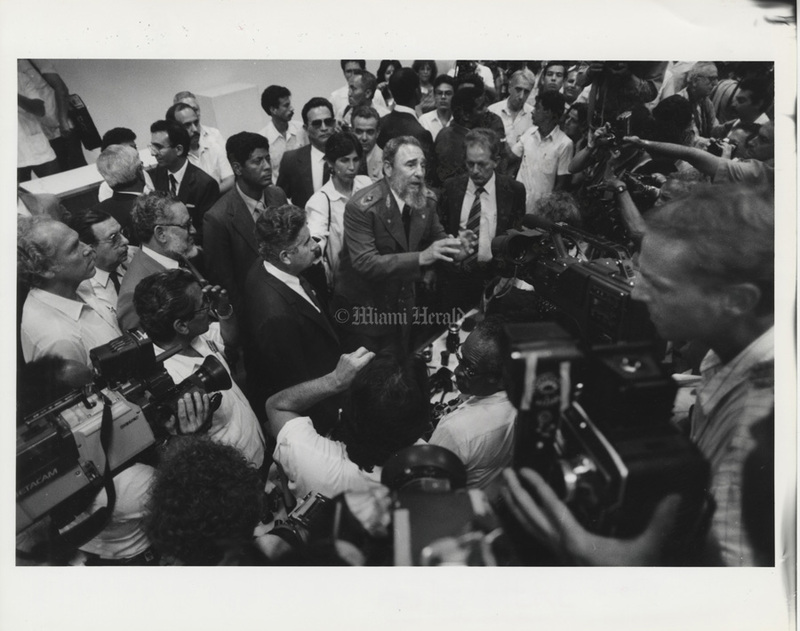 4/4/1989: David Walters/Miami Herald Staff -- Fidel Castro talks with the press after the speech to thel Assembly Tuesday night, 4/4/1989. 7/26/1959: Miami Herald photographer Mike Freeman was in Havana for the first Revolution Day celebration after Fidel Castro's 26th of July Movement swept the Batista government from power in January, 1959. 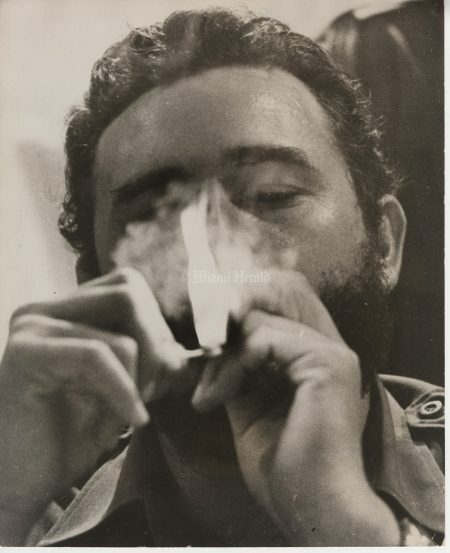 This photograph was published July 27, 1959. 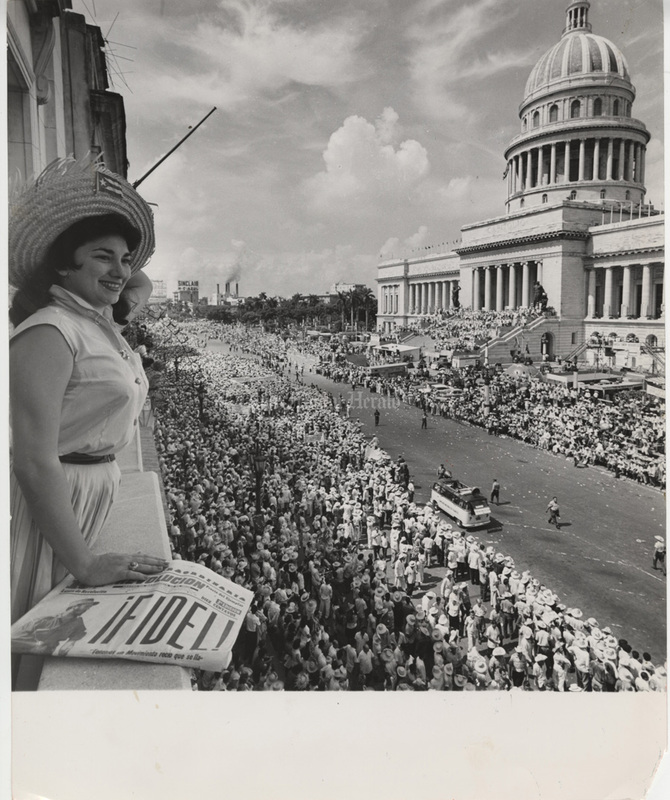 Caption read: "Flag-decked backbone of the demonstration for Fidel: the little man of Cuba, who hopes to benefit from the reforms." 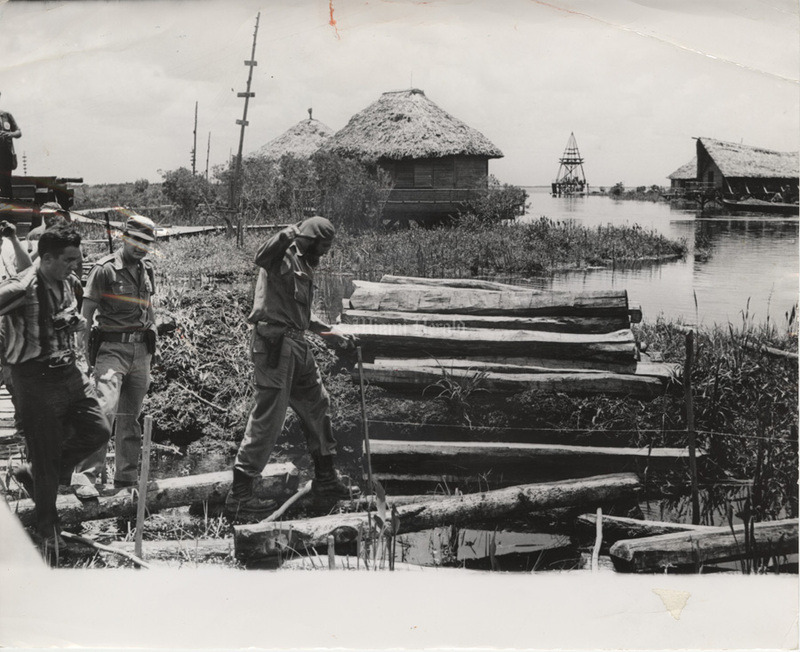 6/19/1961: George Southworth/Miami Herald Staff -- Fidel Castro tiptoes across logs leading to half-finished workers resort in lake near invasion site. 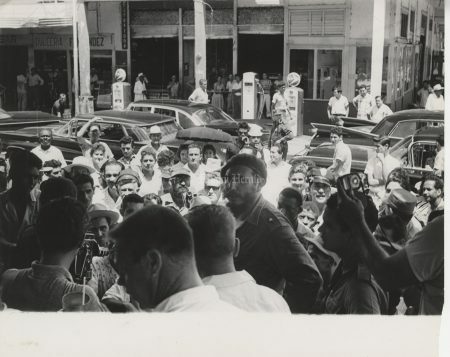 1961: George Southworth/Miami Herald Staff -- Fidel Castro haranguing crowd from a cafe in Jaguey Grande. 3/1990: Marice Cohn Band/Miami Herald Staff -- Fidel Castro. 7/26/1959: Fidel Castro at first celebration of Revolution Day after his 26th of July movement triumphed over the Batista government in January, 1959. 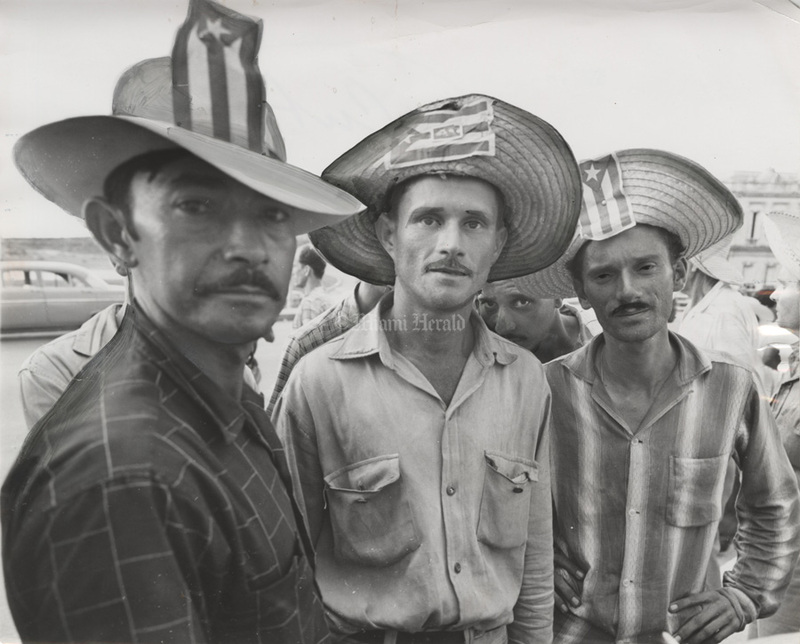 Photograph published July 27, 1959. Caption read: "Salute? Blessing? Or both from Fidel? 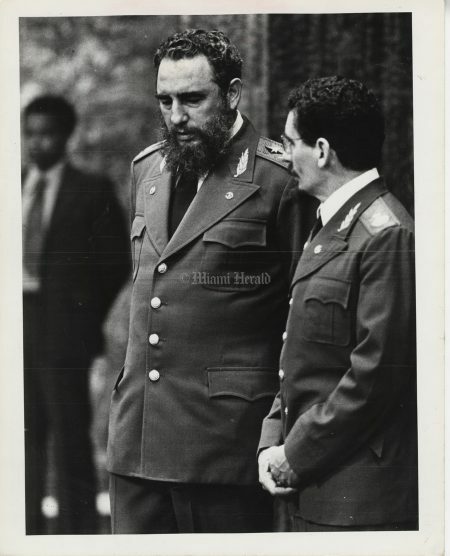 ...curly bearded Castro beams on adulating throng." 1983: Bruce Gilbert/Miami Herald Staff -- Fidel Castro during Bay of Pigs celebration in Havana late last month. 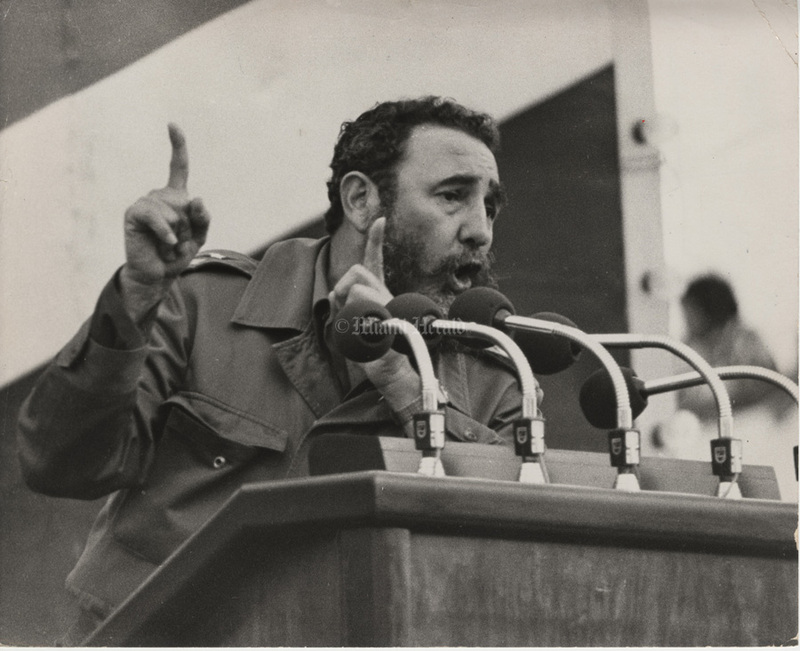 Undated photo: Mike Freeman/Miami Herald Staff -- Fidel Castro gives a speech. 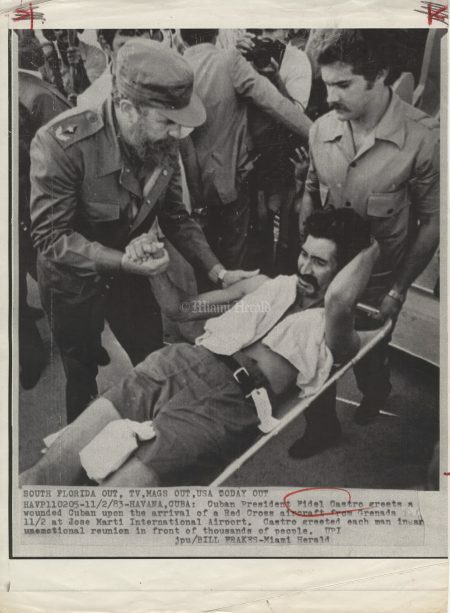 Published 8/3/1991: Bill Frakes/Miami Herald Staff -- Fidel Castro. 6/7/1983: Bruce Gilbert/Miami Herald Staff -- Fidel Castro during the Bay of Pigs celebration in Havana in late April. 10/19/1977: Skip Heine/Miami Herald Staff -- Fidel Castro at rally Monday night. 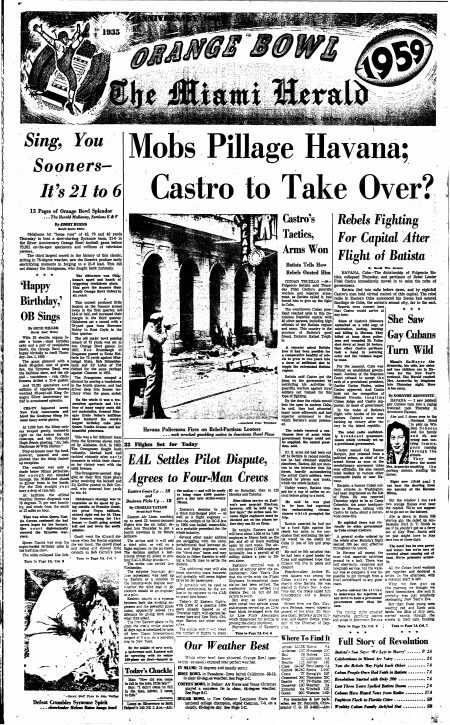 Miami Herald Front Page, July 28th 1953. 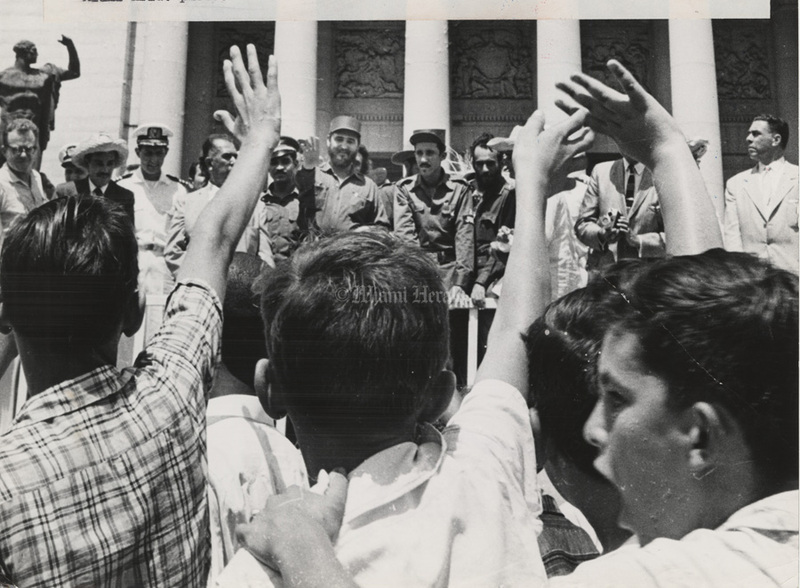 5/27/1991: Marice Cohn Band/Miami Herald Staff -- Cuban President Fidel Castro, right, and his brother Gen. Raul Castro salute troops returning from Angola. 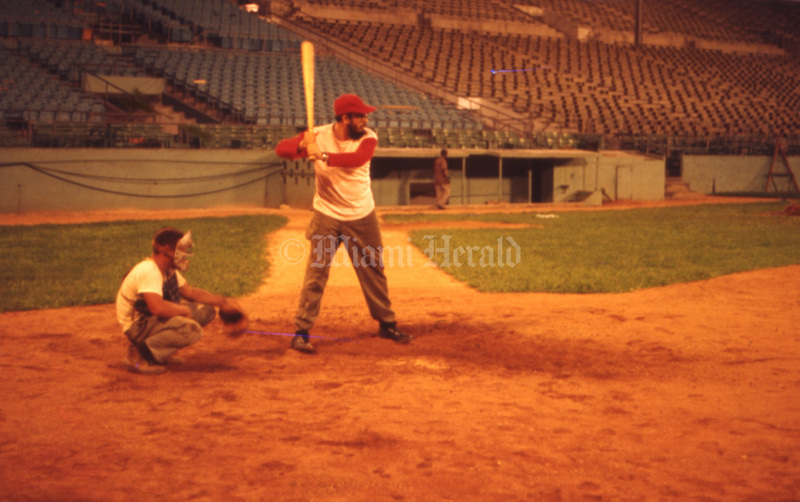 Undated color slide from the archives of The Miami Herald labelled only "Fidel Castro playing ball, by Al Burt." 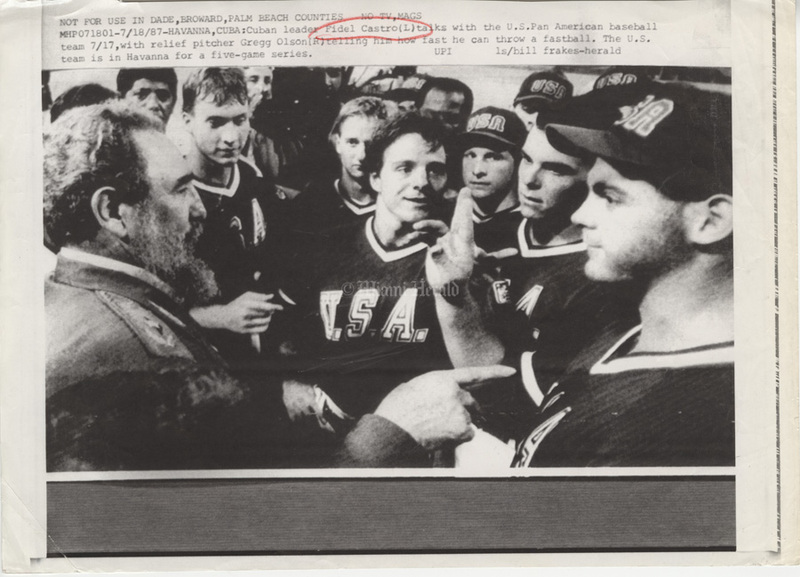 This slide has been scribed to crop it for publication, indicating it probably was published. 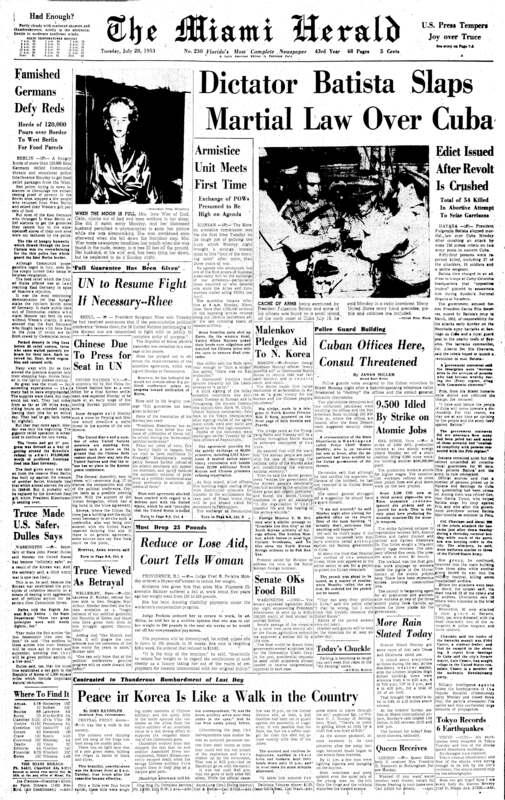 Miami Herald Front Page, January 2nd 1959. 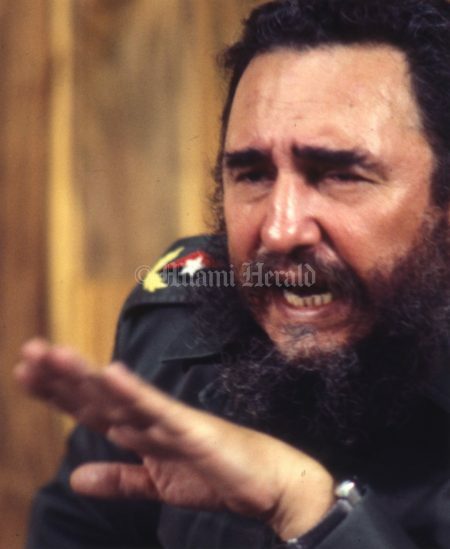 9/6/1976: Jose Azel/Miami Herald Staff -- Castro while talking with reporters at his press conference on Wednesday. 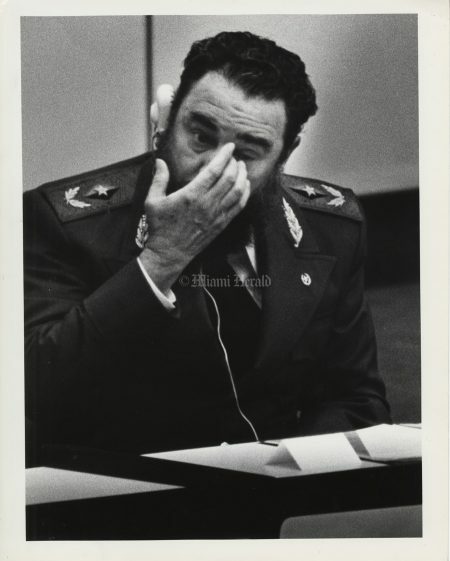 Exile newsmen were at conference, which was to be shown on Cuban TV. 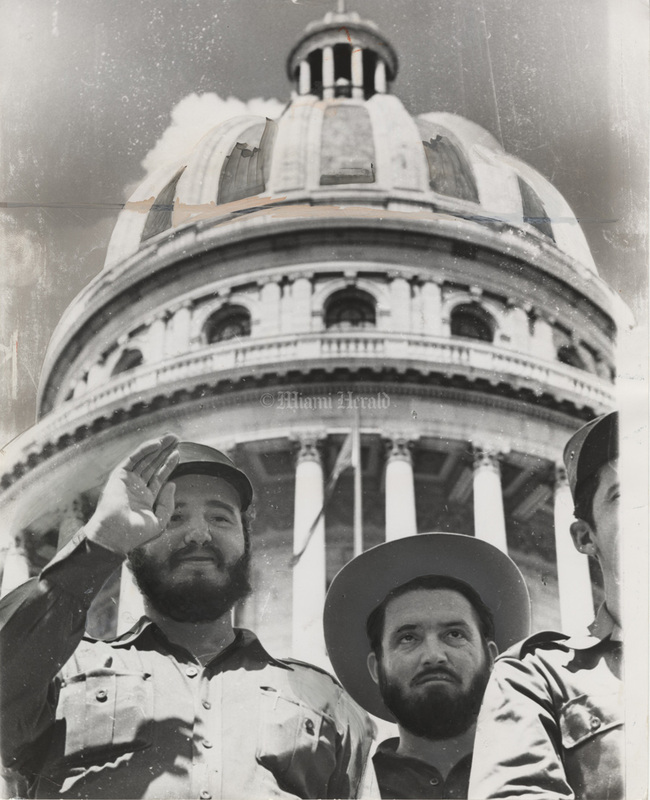 Castro extends an olive branch; will it undercut his exile foes? 1/3/1959: Cuba rebels. 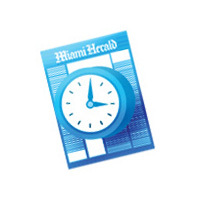 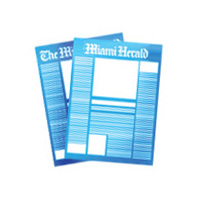 Miami Herald Staff Photo. (According to a 2002 Miami Herald obituary of Tony Garnet, he was in Havana when Fidel Castro overthrew Fulgencio Batista. 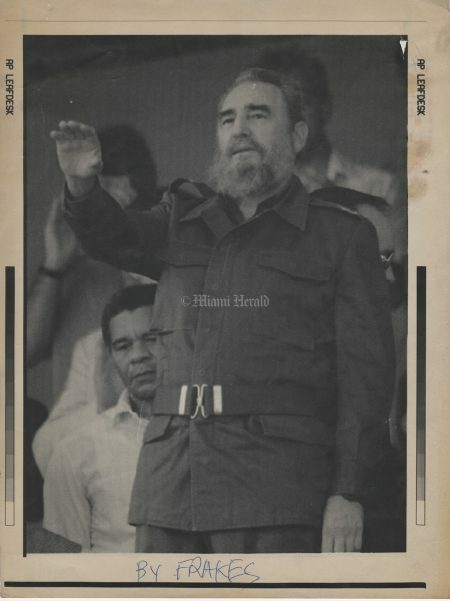 5/1/1980: David Walters/Miami Herald Staff -- Fidel Castro applauds May Day speeches in Havana. 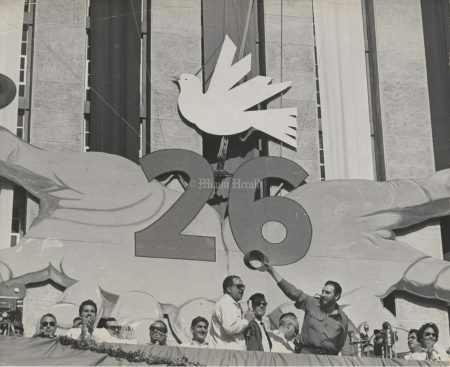 7/26/1959: Fidel's faithful jam capitol plaza for 26th of July celebration. 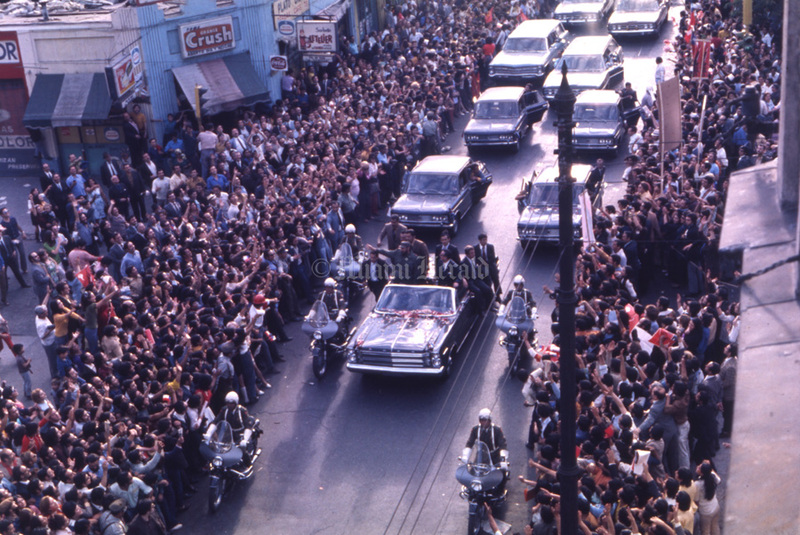 And from Celeia Anton's vantage, left, it was impressive. This photograph was published Monday, July 27, 1959 on the front page of The Miami Herald. Public library newspaper microfilm was consulted to confirm date, caption information and photographer's credit. Published 7/26/1967: Mike Freeman/Miami Herald Staff -- Fidel Castro at 26th of July Rally. 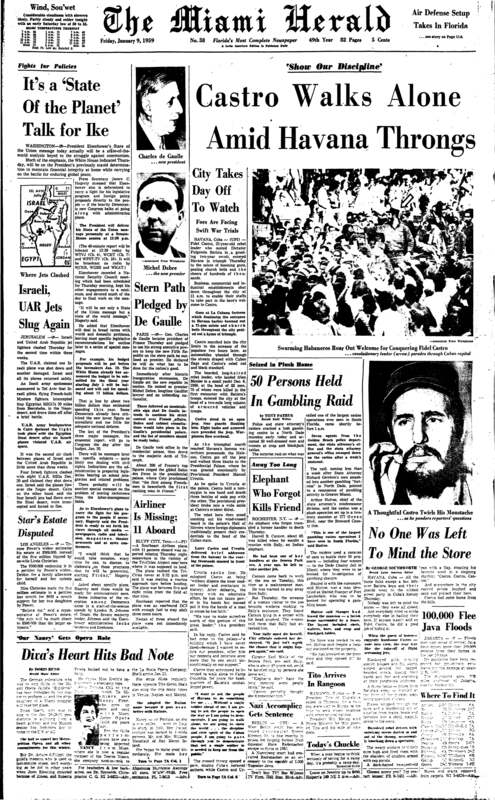 11/11/1971: Battle Vaughan/Miami Herald Staff -- Santiagans hail Castro as his motorcade rolls past two signs of "Yankee Imperialism" -- Orange Crush and Coca-Cola. 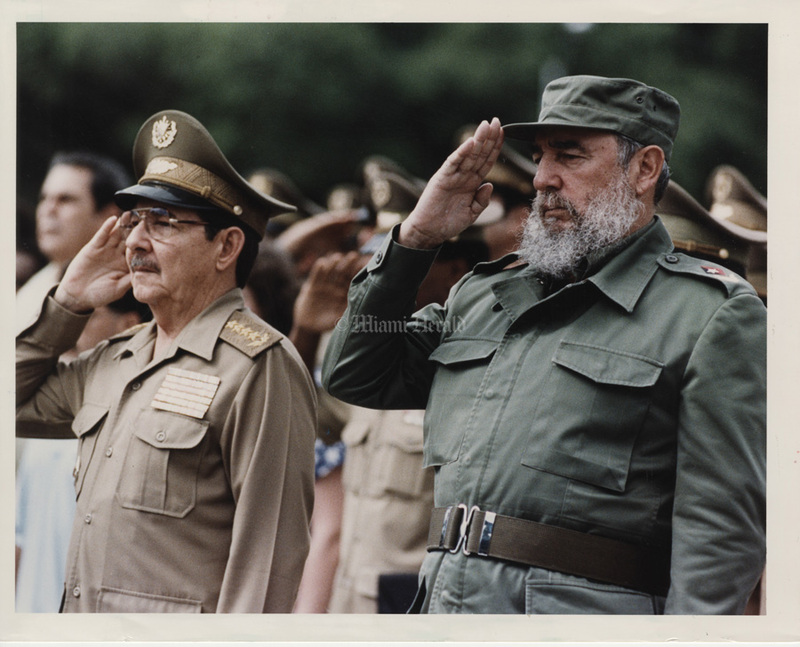 A high-spirited Fidel Castro eased into the role of guest-about-town and President Salvador Allende offered him an example of the enormous differences between Chile and Cuba.